Are you looking for a durable and sustainable collection of hospital dining room chairs for your healthcare facility? 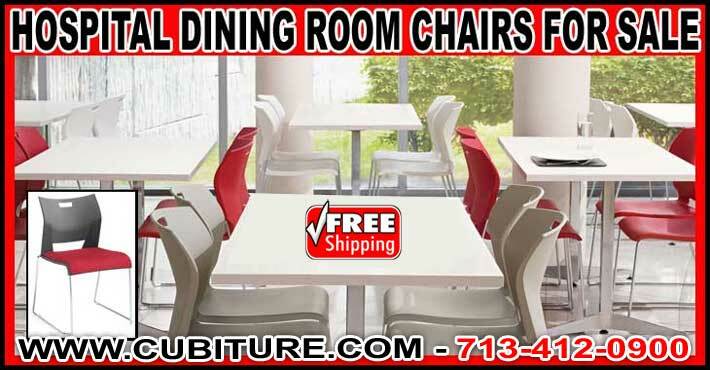 Look no further, because Cubiture is an industry-leading company that supplies and manufactures dining room chairs for a vast array of needs and applications, including for the medical industry. At Cubiture, we have lines that are designed to specifically address the complex seating challenges that exist in healthcare environment. With years of experience with the medical industry, we know the importance of keeping your many diverse guests comfortable throughout their entire visit, from the waiting room to the exam room. This includes all the spaces in between, including cafeterias and and other hospital dining rooms. In fact, these eating spaces might just be what brings otherwise unrelated guests together. That’s why we offer a wide range of hospital dining room chairs for you to choose from, ensuring that there is bound to be a perfect choice, appropriately suited to your dining spaces and to your guests, patients and visitors alike. Our hospital dining room chairs are always manufactured with high-traffic use and applications in mind, guaranteed to hold up well through years of use and abuse. With that being said, you can expect our products to be at their highest level of durability and quality, while also offering plenty of comfort and support. Our hospital dining room chairs are ergonomically designed to give proper support to the human body in all its forms and activities. There are also many chairs to choose from that feature wall-saver rear legs, designed to keep any damage to walls and the backs of chairs to a minimum over years of repeated use by guests. In terms of style, perhaps your facility has gone a more traditional route, keeping guests at ease with the cozy feeling of an old home. Our wooden hospital dining room chairs are durable and stable in construction while conveying a feeling of warmth in your dining areas. With a number of hardwood finishes and cushion styles to choose from, your chairs can reflect that warmth through more elegant darker tones or through more casual lighter tones. Most frames come reinforced with additional leg support bars, and all of them feature armrests for an easy grip and extra balance when leaving or entering the chair. These hospital dining room chairs can be upholstered with waterfall seat cushions to offer excellent comfort and support as well, and cushion materials include vinyl, crypton, and high-quality, woven performance fabrics. You can also go a more contemporary route with our sleek metal hospital dining room chairs. We offer them with light-scale gusseted metal frames that are also heavy-duty to last a long time. Curved legs and flat-profile armrests provide extra stability when sitting in or leaving the chair. Visitors can also enjoy additional bodily support and comfort through an arch-shaped back, compound-curved seat cushion, and additional cushions for the lower back. Rubber and felt chair glides provide the move-ability and stability as your dining room needs dictate, or otherwise you can choose a sled base for your hospital dining room chair. To help ensure ease of maintenance and cleaning, the undersides of your chair is sealed and has an additional protective shroud. Another major concern our hospital dining room chairs address is the greater need for infection control and housekeeping than you might find in other industries and settings. For this reason, on top of materials that are already easy to clean, when selecting your hospital dining room chairs you have the choice to add extra moisture barriers and seams that are heat-sealed for protection against bacteria and other microbes. In certain other dining rooms, you may be dealing with a greater risk of vandalism among users, such as in correctional or mental health facilities. To counter physical manipulation, our hospital dining room chairs also feature tamper-proof fasteners, completely sealed cushions, and extra weight to protect against user mishandling or to deter the hiding of contraband. We make sure that our hospital dining room chairs are engineered and built for durability and safety, and with low-maintenance materials, so that your visitors and patients can enjoy comfort no matter what the circumstances. Give Cubiture a call to discuss our extensive range of hospital dining seating solutions in order to find the right one for your needs!